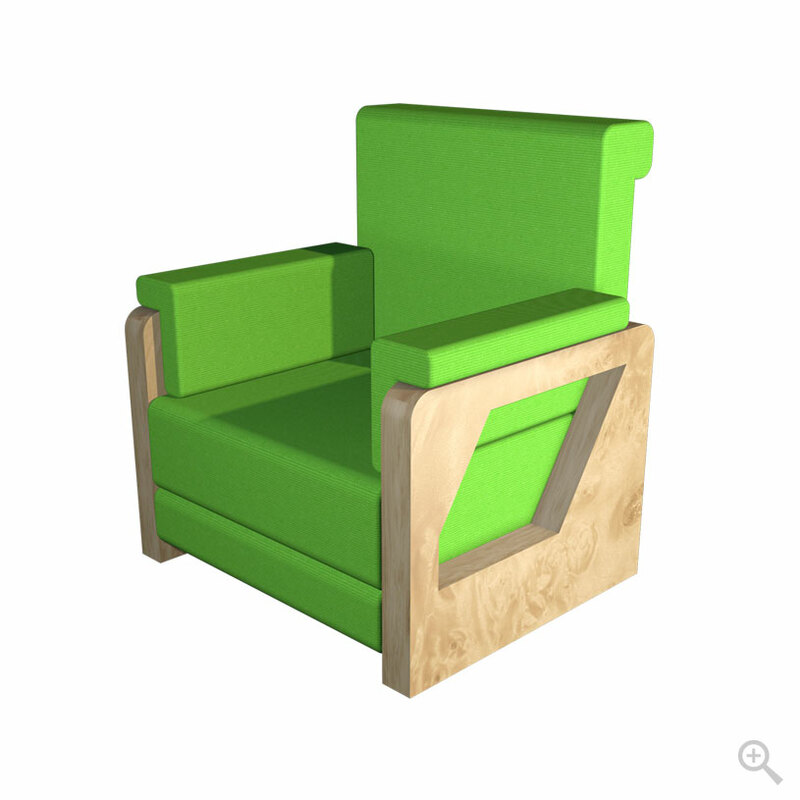 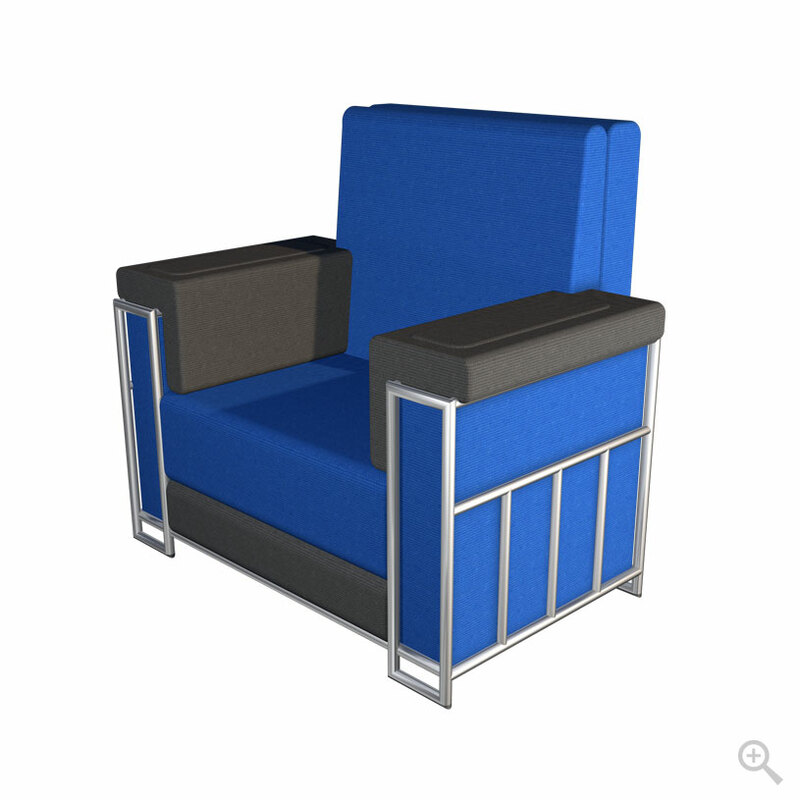 This custom chair is perfect for an office or home office setting. 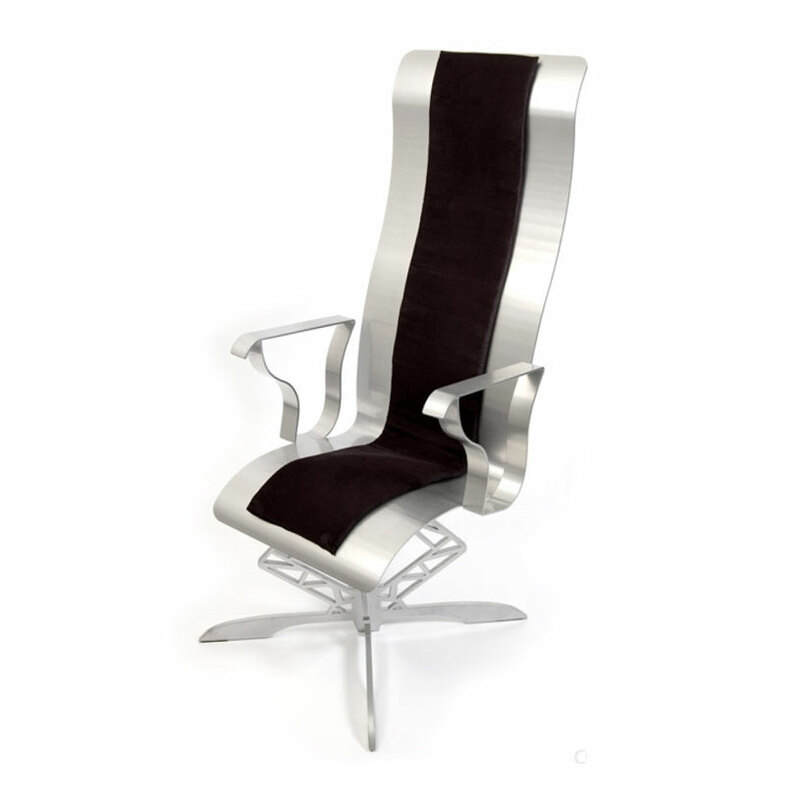 The back is fabricated of one piece of ergonomically bent steel. 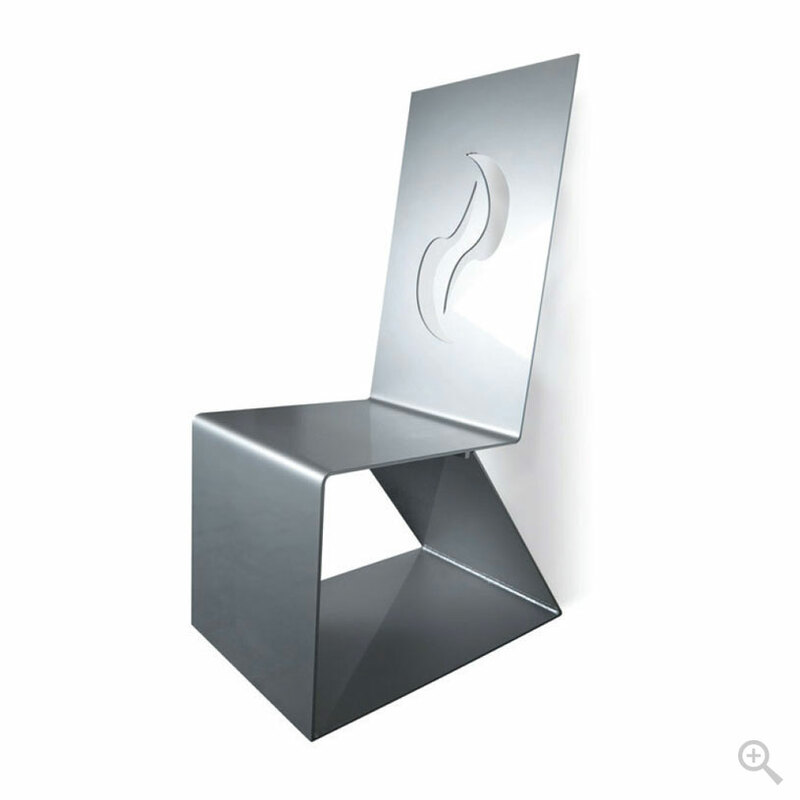 The chair features a black suede cushion and is powder coated in a mirror silver finish.